Kate Middleton attends Queen’s Diamond Jubilee Concert last night. Alexander McQueen dress for the event. 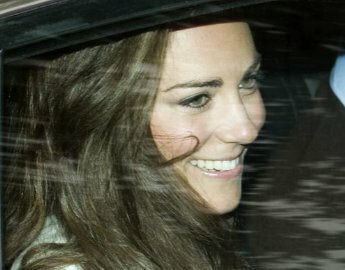 Meanwhile, Duchess Kate looks beautiful while wearing her locks down.